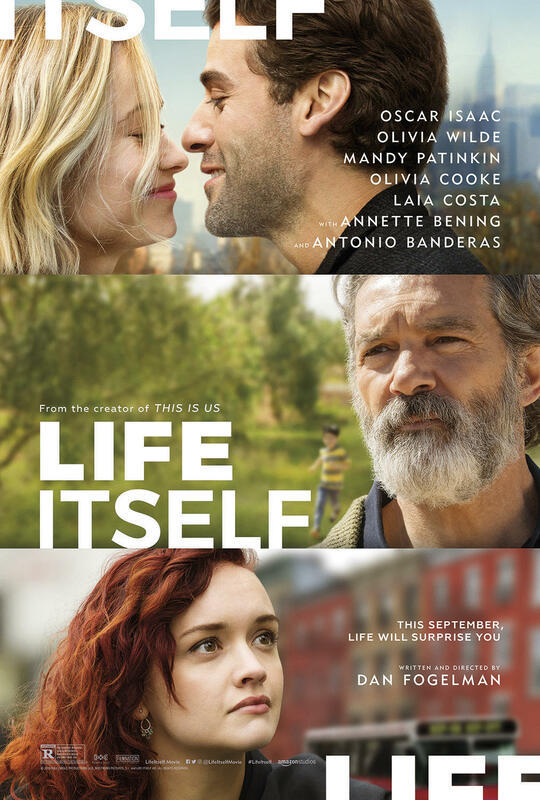 This newly released version of Life Itself is an emotional and touching drama about 3 generations of 2 separate families, one in New York City and one in Spain, and how these disparate families cross paths and influence each other’s lives. Through milestones of death, birth, love, mental illness, and separation, the film incessantly reminds us that each person is precious, and the directions of people’s lives can take surprising turns. I felt like I was watching an extended episode of the TV show This Is Us with so much overly-emotional family drama. And while doing research after watching the film, I learned Life Itself is written and directed by Dan Fogelman, the creator and executive producer of This Is Us! But I’m not saying that’s a bad thing. I’m just saying there’s a strong similarity between this film and the TV series. This movie should not be confused with the documentary of the same name from 2014 that explores the life and career of famous film critic Roger Ebert.